You saved some green, and we planted some green. 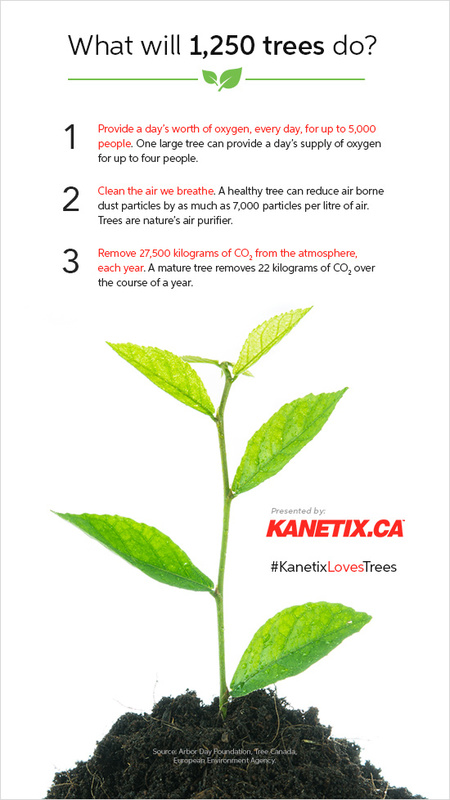 #KanetixLovesTrees, and thanks to the best customers ever, we reached our goal to plant 1,250 trees! In April, to celebrate Earth Day, Kanetix.ca pledged to help drivers reduce their carbon footprint. 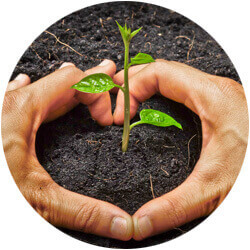 For every driver who compared auto insurance quotes and called us to secure their rate, we promised to make a donation-an amount equal to the money needed to plant and maintain a tree-to Tree Canada, a not-for-profit charitable organization. And with your help, we reached our goal to plant 1,250 trees. Why are trees a car's best friend? Every year, the average Canadian vehicle releases about 4,600 kilograms of carbon dioxide (CO2) into the atmosphere. CO2 is one of the main greenhouse gases behind global warming, but fortunately, trees naturally absorb CO2. By planting more trees, we can help minimize the size of our carbon footprint. There are other ways to green our commute too. By walking, cycling, carpooling or taking public transit, we can all find alternatives to get around and drive a little less often. 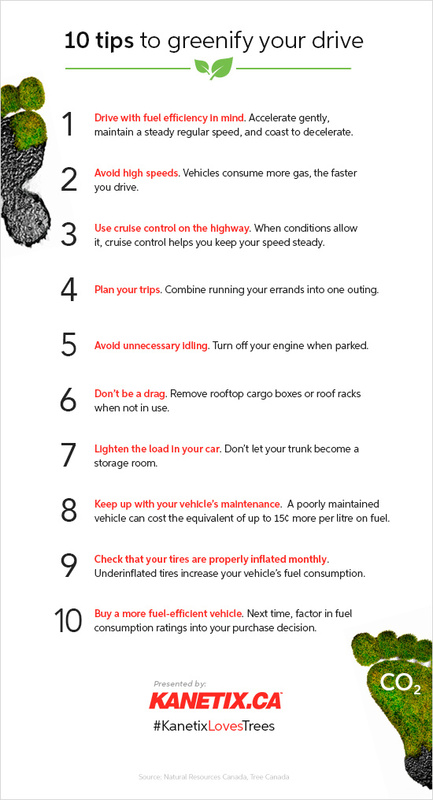 But, of course, this isn't always realistic, so the following tips can help you maximize your car's fuel efficiency when you have to drive. Money doesn't grow on trees; why not see if you could spend less on your auto insurance? Car insurance can account for a big chunk of your regular monthly expenses, and if left unchecked, it's easy to overpay for it. Compare car insurance quotes today for a better rate. We search over 50 trusted insurance providers to help you save.